Join a forward-thinking and creative team of rural surveyors providing local and national traditional land agency services with a reputation for excellence. See our current vacancies. The partnership is the leading farm quotas agency in the UK. A diverse and broad-based range of professional services are provided to national as well as local clients. – a test case arbitration establishing the rental level to be charged for AHA “armchair” tenants leasing out quotas; – a test case arbitration establishing the first AHA rental award for a value of a holding being the centre of a larger business; – the creation of Entitlement Hosting; – holding the first national auction of sheep quota; – publishing the first national index for sales and leasing of milk quota and UK entitlements; – successfully obtaining the first compensation for professional costs incurred by clients involved with RPA maladministration claims; – development of the “clean welly” justification for complying with agricultural tied occupancies; – development of set aside entitlement exporting; – development of forage area exporting; – development of second T1/2 transfer forms securing permanent transfers of milk quota; – the development of leasing quotas with land. We are also the WMN farming section land agent/surveyor expert. We look for professionals to join the partnership who have the initiative and drive to make a difference at both the local and national level. We work closely with our surveying team designing their employment opportunities to fit their interests and training requirements to provide a broad-based grounding in all areas that a traditional land agent would come across without over-specialising at too early a stage. We are able to do this by providing early client contact and a high level of support, enabling employees to quickly fulfil their potential. We are committed to encouraging employees to build upon their strengths, and believe that those who are working in areas that they enjoy will succeed. We work closely with our surveying team to design their training around a broad-based grounding in all areas that a traditional land agent would come across, without over-specialising at too early a stage. We are able to do this by providing early client contact and a high level of support, enabling employees to quickly fulfil their potential. Ashley Taylor within four years qualified as a Chartered Surveyor, an Agricultural Valuer, a Member of the Chartered Institute of Arbitrators and became a partner. See Ashley’s testimonial. 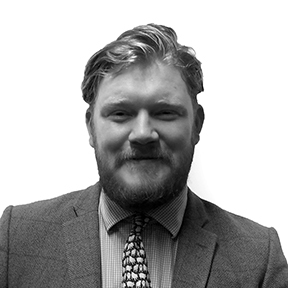 James Clack within two and a half years qualified as a Chartered Surveyor and an Agricultural Valuer. See James’ testimonial. Chris Allen qualified as a Chartered Surveyor and an Agricultural Valuer. See Chris’ testimonial. Dominic Rees graduated with an RICS accredited PgDip REALM. See Dominic’s testimonial. Jake Loftus qualified as an Agricultural Valuer. See Jake’s testimonial. Training, Support, Advice and Broad Experience – we fully support our team’s needs to achieve their personal and professional goals, including APC and CAAV affiliation. We are committed to sharing information, knowledge and experience between all our surveyors through weekly meetings. From day one there is close partner contact and direct client responsibility. We believe trainees should learn from the top and on the job, which provides the best training possible for the APC and CAAV exams. An open plan office ensures a close knit team environment, with trainees being fully immersed in all the firm’s business from day one. This team environment provides support and encouragement for qualified surveyors to further their careers and continue their professional development. We are looking to build on our current success and if you think you could contribute to our future growth by taking the opportunity to have an impact locally and nationally, with quick progression and significant responsibility, then take a look at our current vacancies.